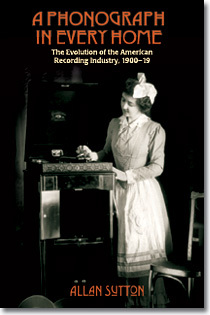 More than 1,120 detailed, carefully documented entries cover the record companies, independent studios, and individual producers -- and the thousands of disc and cylinder brands they produced for the commercial market (including consumer, jukebox, and subscription labels) -- from the birth of the recording industry to the start of the LP era. A directory section preceeding each entry includes company founding, record-production, and closing dates; office, studio, and pressing-plant locations; original-master sources; foreign affiliations; and a listing of all commercial labels and other record products. 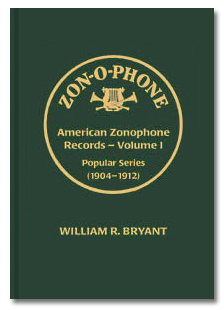 The volume also includes an introductory history of the American recording industry from the 1880s through 1950; user's guide; company genealogical charts; glossary; extensive references (largely primary-source); and label and subject indexes. Our remaining inventory of these titles is being offered at final clearances prices of 10% to 50% off the original list price. These are first-quality copies in original shrink-warp. Order soon - Quantities are very limited, and none of these books will be reprinted. All Close-Out Sales Are Final. No returns accepted other than defective or damaged copies, which may be returned for exchange-in-kind only (no cash or credit refunds). For Foreign Delivery: Orders must be placed at the foreign rate (click "Shipping Outside USA"), which includes insured airmail shipment. Orders placed at USA rates for foreign delivery be canceled. 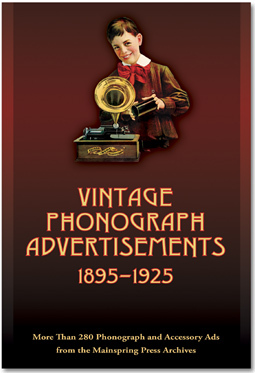 Vintage Phonograph Advertising presents some of the most interesting phono-related ads of the acoustic era, covering products from the commonly encountered to the impossibly rare. 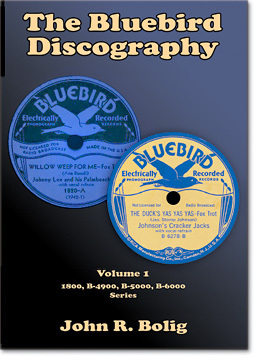 The Bluebird Discography covers the first five years of domestic releases in RCA's popular budget-priced line (1932 - 1936). 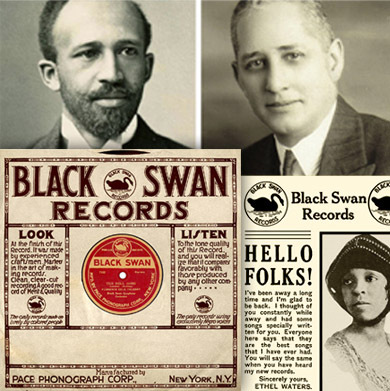 As with all titles in Mainspring's Victor Discography Series, data in The Bluebird Discography were compiled from the original Victor Talking Machine Co., RCA Victor, and Gramophone Company recording ledgers and production files. To preserve the integrity of this original company data, no undocumented, speculative, or anecdotal material appears. 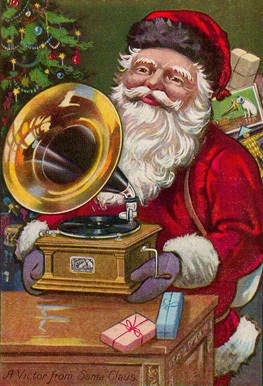 This volume also includes details for all Victor source recordings (in the case of reissued material) as well as all authorized issues on corresponding subsidiary, client, and foreign labels in 78-rpm format, including Electradisk, Montgomery Ward, Sunrise, Timely Tunes, Regal-Zonophone, and His Master's Voice, among others. Pirated reissues are not listed. Other data include recording and release dates, recording locations and studio names, master and take numbers, details of dubbed recordings, identification of pseudonymous or uncredited artists, composer and show/film credits, medley contents, and other fine details. 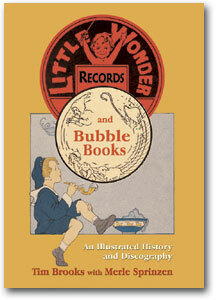 With an illustrated history of Bluebird and the other RCA budget labels, user's guide, and artists and title indexes. 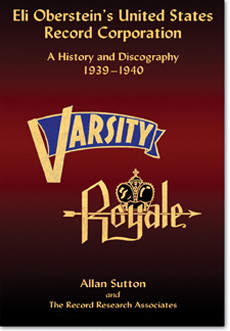 Although Eli Oberstein's Varsity and Royale labels were hailed as promising new entries in 1939, his United States Record Corporation collapsed into bankruptcy a year later - but not before Oberstein managed to assemble a substantial, and often intriguing, catalog. 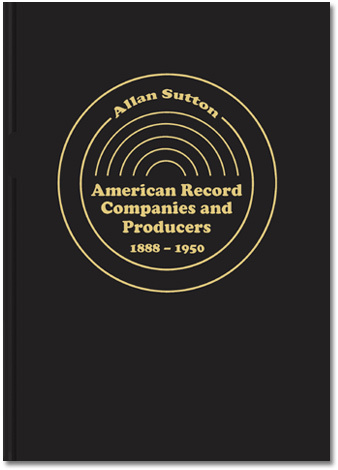 This volume covers USRC's complete 1939 - 1940 output (its many original recordings, as well as its sometimes-controversial reissues of material from Crown, Gennett, Paramount, Edison Bell, Ultraphone, and other labels). 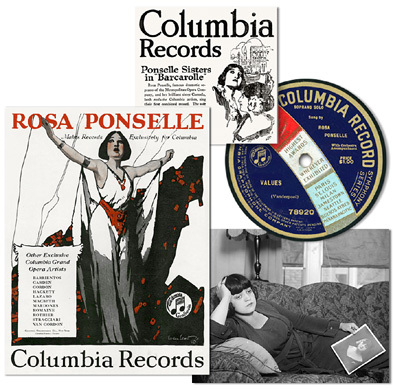 Listings of the reissued material identify the master sources, numbers, and takes; all prior releases; original recording and/or release dates; and (because most were issued under pseudonyms), identifications of the actual artists. 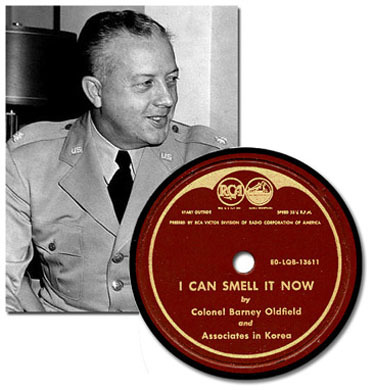 Other features include an illustrated USRC history; a balanced, objective look at Oberstein and his methods; a discussion of original-vs-dubbed masters based on selective comparative testing by the author and by the Record Research group; previously unpublished data on the European recordings used by Royale; and excerpts from original record reviews in period publications, including Jazz Information and The Steinway Review. Since 1990, Pseudonyms on American Records has been helping dealers and advanced collectors avoid costly mistakes and spot the hidden treasures. Now it's back, in a fully revised and substantially expanded edition that includes more than 60 additional pages of pseudonym listings, along with other new features. 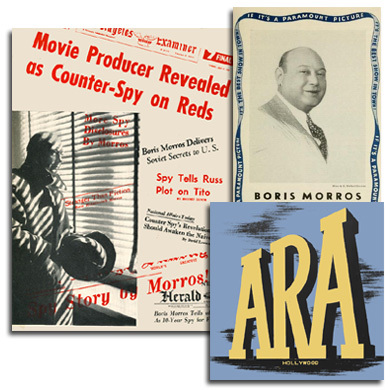 Over 6,200 aliases are unmasked on 17,000 cylinders, 78s, and transcriptions in all genres, from jazz and blues to opera - and now including American-produced ethnic and export records. An important new feature is the addition of source citations for each entry - disclosing whether the identification was made from the original company files or other archival materials, correlation with corresponding non-pseudonymous issues, aural evidence, or reports from trusted secondary source. Also included are a cross-reference listing by artist; recording artists' birth, legal, or married names; historical introduction; and user's guide. 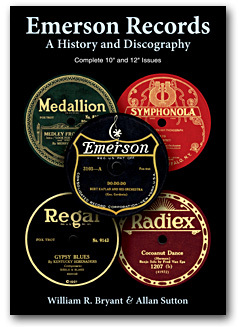 Covering all 10" and 12" Emerson series (including ethnic-catalog releases), along with detailed listings for all corresponding issues on other American and foreign labels. 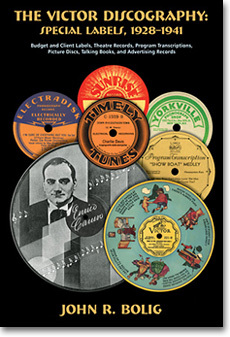 The Victor Discography Series is compiled on-site at Sony Archives (New York) from the original Victor Talking Machine Company, RCA Victor, and Gramophone Company documentation. 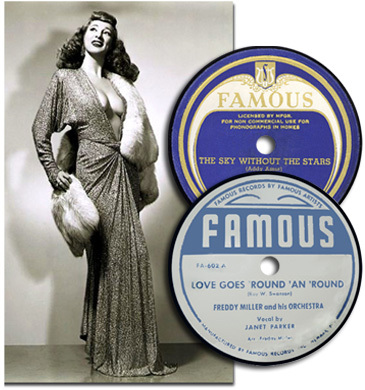 These volumes offer the most accurate representation available of exactly what is, and is not, contained in the original Victor recording and production files. To preserve the integrity of the original company file data, no speculative, anecdotal, or undocumented material appears in these works. 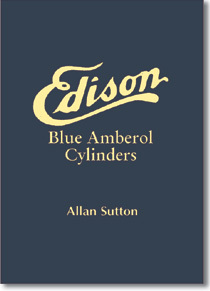 The first study of Edison 2-minute cylinders to be compiled from Edison's factory plating ledgers, studio cash books, remake and deletion notices, catalogs, supplements, trade publications,etc., along with first-hand visual and aural inspection of the original recordings. All U.S.-series issues are covered, including Grand Opera. This is the only guide that can help you distinguish the original Edison two-minute issues from later (and often more common) remakes. Unlike previously published guides, which list only the initial versions, this volume shows all known versions, with release dates and distinguishing details for each. You'll find details that have never before appeared in a modern work, including factory plating dates for brown-wax pantograph masters and early Gold Moulded masters, which provide valuable clues to the long-lost recording dates. 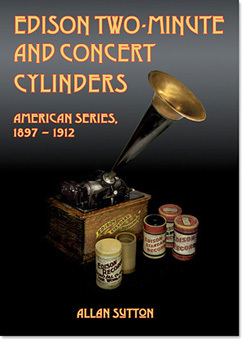 Other features include an illustrated, footnoted history of the Edison cylinder during the National Phonograph Company period, a detailed user's guide, and artist and title indexes. 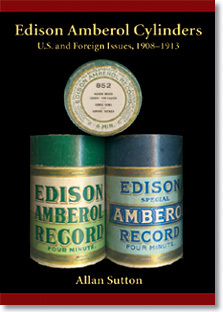 Full details from the original Edison documentation for all U.S. and foreign-series Amberol four-minute wax cylinders, including the final, little-known 1913 foreign releases, all corresponding Blue Amberol reissues, release dates and more. which may be returned for exchange-in-kind only (no cash or credit refunds). Associates Do a Send-up of "I Can Hear It Now"
Order with Confidence Online Using Our Secure Shopping Cart: We welcome Visa, Master Card, and PayPal for online purchases. Click "Add to Cart," and when finished, click "View Cart / Checkout" (top of page) to complete your order. Be sure to select the correct mailing destination for your shipment (USA or Outside USA) - Orders placed at US prices for foreign delivery will be voided. To Order by Mail: Print out, complete, and send the mail-order form with your personal or business check or money order (payable in U.S. dollar on a U.S. bank), or credit card information exactly as shown on your billing statements. Shipments may be held until check or money order has fully cleared. Guarantee (Excluding Close-Out Titles): Items may be returned within 14 days of the tracked delivery date for a refund of actual purchase price, including the original shipping fee (if any). Return-shipping fees are at purchaser's expense and will not be reimbursed, except for damaged or defective copies returned for exchange-in-kind. Refunds are made only to the credit-card or other account used to make the purchase. No refunds will be made for used, soiled, marked, or damaged books (except for defective copies or books damaged in shipment), or for returns postmarked later than 14 days from the tracked date of delivery. This guarantee does not apply to close-out items (see below). Sales of All Close-Out Titles Are Final: Returns will be accepted only in the case of defective or damaged copies, which may be returned for exchange-in-kind (no credit or cash refund unless a replacement is no longer available). Website © 2018 by MAINSPRING PRESS. All rights are reserved worldwide. Mainspring Press is a registered trademark of Mainspring Press LLC, a Delaware company. This site is owned and operated by Mainspring Press LLC. See the Company Information Page for contact information. Written inquiries should be addressed to: Mainspring Press, PO Box 631277, Littleton, CO 80163-1277 (USA). Unless designated as "public domain," material on this site may not be reproduced, altered, stored, sold, or distributed in any manner or by any means (printed, digital, or otherwise) without the prior written consent of the publisher. Please e-mail or write the publisher for information on fair use and permission to reproduce or license material appearing on this site, on the Mainspring Press blog, or in Mainspring Press books and CD-ROMs.